If you know anything about finances, you’ll know that your credit score plays a very important part in your life. If it is bad, then you’ll struggle to qualify for home loans or car credit - even credit cards may be out of reach - if it’s good, you shouldn’t have too many difficulties getting any of those things, and you should also be able to get the best interest rates around. Credit scores did not come into existence until the 1950s. Before then, you would have to go to a meeting with your bank manager, or one of his colleagues, and discuss the possibility of getting a loan. This meant that, a lot of the time, people were being judged on a whole lot of other things apart from their actual ability to manage a loan, so it wasn’t the fairest system around, and if you weren’t deemed trustworthy for whatever reason, you could wave goodbye to that much-needed line of credit! It might sound a little bizarre, but according to a study conducted by the Federal Reserve, couples who had similar credit scores were more likely to stay together, and for longer, than couples who had huge differences in their scores. When you really think about it, it makes sense because they are more likely to be of equal competence and neither is likely to hold the other back due to their lower credit score - and they say romance is dead! Some people don’t realize that, if they have never taken out a line of credit before, they are unlikely to have a great credit score. It seems counterintuitive, but it’s actually very sensible. You see, if you have no credit score, no one knows how good or bad you’ll be at managing credit. If you find yourself in this situation, taking out small installment loans and repaying them on time is a good way to build up your credit score. Just be aware of this little tidbit before the time comes to make a big purchase - so you can do something about it first - and you should be fine. If you have no credit history, as I mentioned above, or you used to have some credit accounts, but they’re all closed now, your credit score will eventually end up at zero. This might sound bad, and it is certainly not ideal at all, but it doesn’t mean that you can’t get a home loan. You can, but you’ll need to go through the manual underwriting process, which is much more complicated and time-consuming. This is because the lender will need to manually go through your documents, looking at your incomings and outgoings to see if you can afford it. A lot of people are under the impression that their employers can access their credit score for employee screening purposes. This is probably because people mix up credit score and credit report all of the time, but the fact is, your employers cannot see your score. Sure, they might be able to access a credit report for you, but this is a more edited version of the report you’ll see, with limited information available to them. Many people also believe that the more highly educated they are, the higher their credit score will be. That is simply not true. You see, even very intelligent people can be silly with money and what your credit score is keeping tabs on is your ability to pay your debts on time, not have many degrees you have hanging on your wall. It matters not one little bit whether you dropped out of high school or you went to Yale, all that matters is the money at the end of the day. Many people are under the impression that closing their credit cards and other credit accounts will boost their credit score. This is rarely true because, if you’ve had that credit card or account for a very long time it shows that you have been able to handle credit for a long time too. Not only that but the lower the percentage of credit you’re using compared to the amount of credit you have, the better for your credit score, which means it probably will cause your score to drop should you close an account, more so if it’s a really old one. Did you know that whenever you apply for car insurance your credit score is likely to be checked too? It’s surprising to many people, but research shows that 92 percent of car insurance companies use something called a credit based auto insurance score, which is different to your FICO score, so not exactly the same thing, but close enough, to determine how likely you are to claim in the future! That means your credit score could be directly related to your premiums! 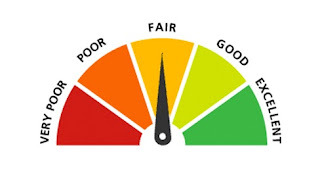 Although credit scores are undoubtedly important and will affect your ability or otherwise to obtain credit, a lot of people worry about them more than necessary because there are other factors that always come into play when a lender is deciding whether to part with their cash in your direction or not. So, while you should do your best to maintain a high score, try not to worry too much if it isn’t at its absolute optimum. I hope this has been pretty interesting and maybe even a little eye-opening for you. I bet you didn’t know your credit score could affect your marriage so much, huh?